Subscribe to our Newsletter. Each week you will get one fantastic free eBook in our newsletter. This week the free ebook is a treaty about the Map of The Sky full of images. Try now! We respect your privacy, no spam at all. Home scientific mysteries strange phenomena Siberian craters and Bermuda Triangle. Mystery Solved? Siberian craters and Bermuda Triangle. Mystery Solved? Experts claim underground gas explosions caused the deep holes to appear in Siberia. 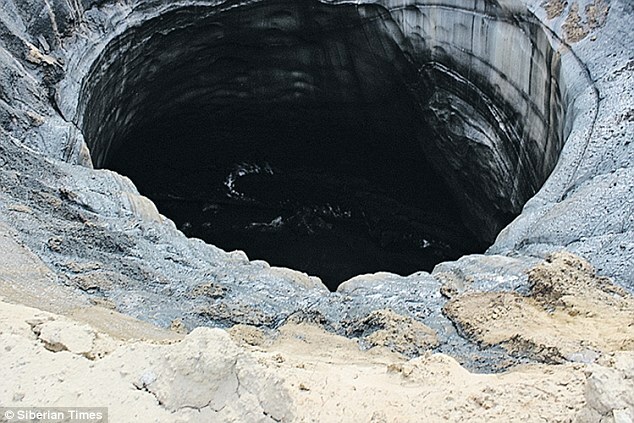 Earlier this year, mysterious giant craters appeared in Siberia and now scientists claim an underground gas explosion was to blame. They examined the largest crater and found evidence of gas hydrates. The Theory could also explain why planes and boasts have vanished in the region known as the Bermuda Triangle. This is a hypothesised region on the west of the North Atlantic Ocean. 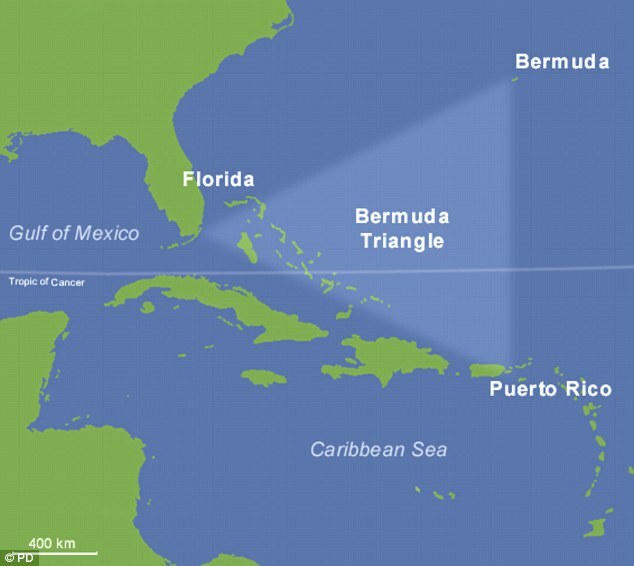 Many, including the National Oceanic and Atmospheric Administration, claim the Bermuda Triangle is a myth. But now, after probing the largest of the craters, scientists said the they were most likely created by underground gas explosions. 'Heating from above the surface due to unusually warm climatic conditions, and from below, due to geological fault lines, led to a huge release of gas hydrates,' reported The Siberian Times - citing scientists from the Trofimuk Institute of Petroleum-Gas Geology and Geophysics in Novosibirsk. US Government agency The National Oceanic and Atmospheric Administration (Noaa) said that foul weather and poor navigation are likely to blame for any mishaps in the area between Miami, Bermuda and Puerto Rico. Dozens of ships and planes have mysteriously vanished in the area. But Noaa said the number of vehicles missing there is no different to elsewhere in the world - and the theory that some mysterious supernatural force is sinking boats and planes is a myth. 'There is no evidence that mysterious disappearances occur with any greater frequency in the Bermuda Triangle than in any other large, well-traveled area of the ocean,' the agency stated on its website in February. Gas hydrates are ice-like forms of water containing gas molecules, notably methane. They exist in permafrost regions such as northern Siberia, but also under the oceans in some parts of the world. 'The main element - and this is our working theory to explain the Yamal crater - was a release of gas hydrates,' said scientist Vladimir Potapov. 'It turned out that there are gas hydrates both in the deep layer which on peninsula is several hundred metres down, and on the layer close to the surface. He stressed that the crater is located on the intersection of two tectonic faults. Yamal peninsula is seismically quiet, yet the area of the crater looked into had quite an active tectonic life. 'That means that the temperature there was higher than usual,' Mr Potapov said. Crucially, recent warm summer weather has melted gases trapped in layers just below the surface. The explanation for the formation of this crater might also explain the disappearance of boats and planes in the area referred to as the Bermuda Triangle, according to the experts. The area stretches from the British Overseas Territory in the North Atlantic Ocean to the Florida coast, to Puerto Rico. Russian scientist Igor Yeltsov, the deputy head of the Trofimuk Institute, said: 'There is a version that the Bermuda Triangle is a consequence of gas hydrates reactions. 'They start to actively decompose with methane ice turning into gas. It happens in an avalanche-like way, like a nuclear reaction, producing huge amounts of gas. 'That makes the ocean heat up and ships sink in its waters mixed with a huge proportion of gas.